Politics makes strange bed bugs. Guests: Sally Rubin, the director of “Hillbilly,” Professor Corey Brettschneider, author of “The Oath And The Office: A Guide To The Constitution For Future Presidents“, Medicare For All Activist Geoffrey Ginter. Plus Comedians Jackie “The Joke Man” Martling and Aaron Berg. 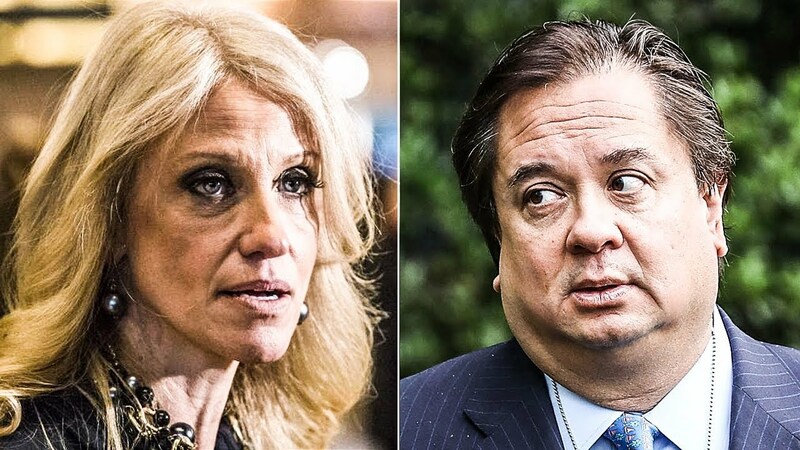 George T. Conway, Kellyanne’s husband, yes, she has one, pens yet another scathing attack in the Washington Post aimed at his wife’s boss. Sounds like someone is pissed his soul mate failed to land him a sinecure in the Justice Department, or at least an ambassadorship that would station him 5,000 miles away from the prevaricating harpy. Can their marriage last past Kellyanne’s next molting season? Meanwhile the Blue Wave gets bigger as the votes get counted. We talk Florida recounts, Arizona’s Kyrsten Cinema, California Wildfires, The Mueller Probe, Acting Attorney General Matt Whitaker, and the plight of white men. The news media needs to stop showing up at his press conferences and start doing the hard work of reporting on what Trump is doing, not on what he’s saying.